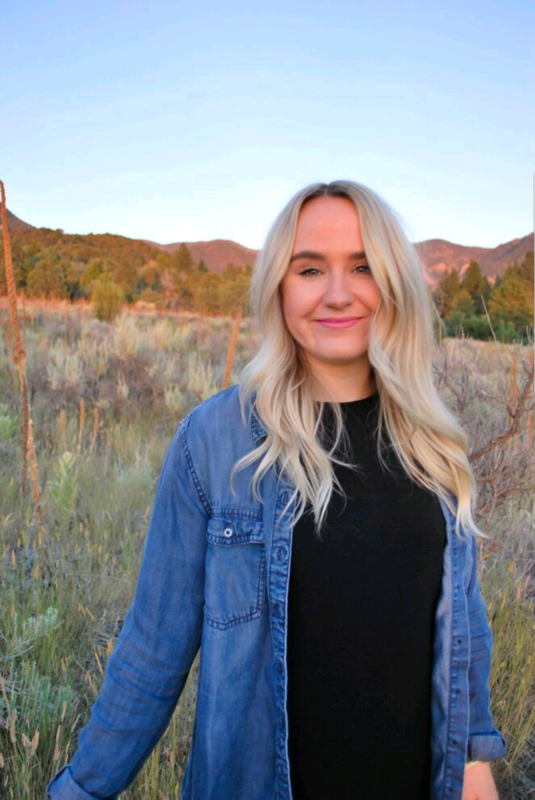 ST. GEORGE — According to the National Weather Service, this weekend’s weather for most of Southern Utah is expected to be warm for all three days, with a chance of thunderstorms. 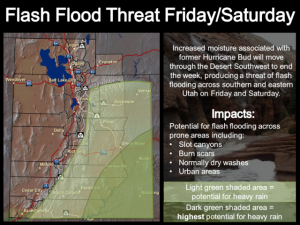 However, with red flag warnings and possibilities of flash flooding, officials are asking travelers and recreationists to be careful out there. Forecast includes a high of 102 and low of 68 in the evening. Winds will be 20-25 mph, with gusts as high 39 mph. A high of 92 and low of 66 in the evening. There will be a 20 percent chance of showers and thunderstorms after noon, with winds of 11-18 mph. Sunny with a high of 94 and low of 64 in the evening. Winds of 15-20 mph in the afternoon. Mostly sunny with a high of 87 and low of 59 in the evening. Breezy with winds of 21-29 mph, with gusts at high as 43 mph. Sunny with a high of 78 and low of 57, with a 20 percent chance of showers and thunderstorms after noon. Winds will reach 15-20 mph. Mostly sunny with a high of 79 and low of 54. Breezy with winds reaching 17-24 mph, with gusts as high as 38 mph. Friday’s forecast is sunny with a high of 100 and low of 66, with a slight chance of thunderstorms. Partly sunny with a high of 83 and low of 64. There’s a slight chance of showers, with thunderstorms after noon. Winds will be 9-11 mph in the afternoon. Mostly sunny with a high of 94 and low of 62. Friday’s forecast near the lake will be cloudy with a high of 94 and low of 65. There will be isolated showers and thunderstorms after 2 p.m. Winds will reach 15-20 mph in the afternoon, with gusts as high as 30 mph. Mostly cloudy with a high of 80 and low of 59. Scattered showers and thunderstorms are possible after noon, with winds around 10 mph. Partly sunny with a high of 87 and low of 59, with winds of 5-15 mph. A red flag warning issued Wednesday for most of Southern Utah has been extended to all day Friday as a result of gusty winds, lightning potential and low humidity. Outdoor burning during this time is not recommended. 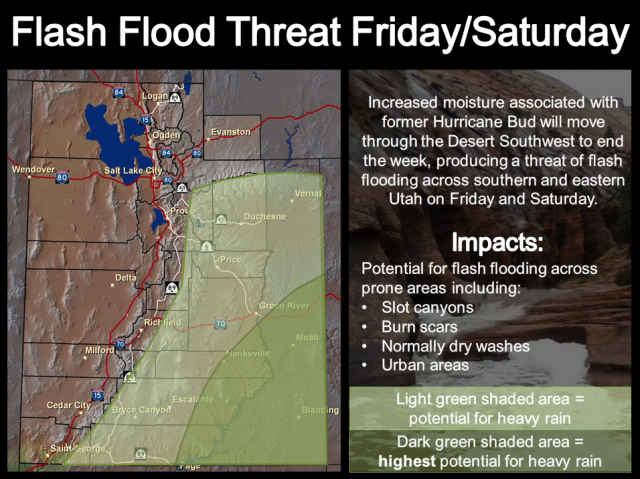 In addition, the National Weather Service is warning of potential flash flooding threats Friday and Saturday. A red flag warning is in effect for southern Nevada and northwest Arizona from Sunday morning to the evening. For more information on current conditions and advisories, go to the National Weather Service website.